London 2012's legacy: No more UK couch potatoes or another Olympic 'white elephant'? Jump to video Race to the Olympic Park: Quickest way is ...? 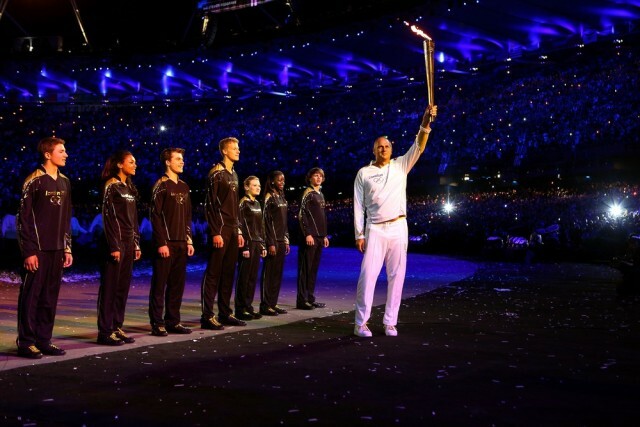 Five-time Olympic gold medal-winning rower Sir Steve Redgrave hands the torch to seven young athletes who represent Britain's hopes for the next Olympics during London 2012's Opening Ceremony on July 27.